I’d like to welcome you to TL Connects! Click “Play” below to watch a quick overview of our product or schedule a date and time for a personal, live demo with one of our Account Managers. Schedule a Product Demonstration today! TL Connects helps thousands of restaurants and retailers increase revenue by simplifying and automating digital relationships with their customers. Our proprietary customer engagement platform gives you endless flexibility and customizability including self-serve kiosk solutions, digital punch card, automated habit based triggers, and omni-channel communication platform that integrates SMS, MMS, e-mail, & social media. Automatically Drive back up to 25% of your Lapsed Customers. 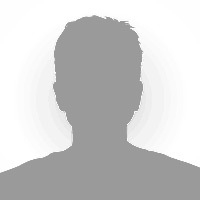 Build a large database of customers that love you! Because 98% of subscribers will read the message, SMS/MMS marketing is the most effective way to get your message to your customer. Don’t just give away rewards for loyalty, drive your customers to be loyal! Businesses who use the TL Connect Engagement Platform, succeed with it. It uses the best form of communication and completely covers the customer engagement gamut. It is so much less expensive to retain a current customer than it is to acquire a new customer. Keep this in mind. With the TL Connects platform, it is easier than ever to keep current customers. Multi-level auto-responders target lapsed customers and entice them back with a great offer that expires within 7 days of getting the text. Set up the auto-responders for different time spans and increasingly better offers to pull them back in. Customer engagement doesn’t have to be a tricky, complicated thing. The TL Connects’ platform allows you to engage your customers on several different layers to ensure you are doing all you can to keep your business running effeciently. Customize every portion of the platform. The kiosk skin can be customized to fit your brand. The auto-responders, sign-up offer, loyalty reward, bounceback offers, textALERTs and so much more can be fit to fit your business needs, exactly. Don’t just take our word, see the results for yourself. Read how Smoothie King uses the TL Connects Customer Engagement Platform in 230+ stores. See real results from their loyalty program, auto-responders & textALERTs sent to subscribers! Smoothie King currently has over 150,000 subscribers and a quarter of a million check-ins. Smoothie King has two different platforms using the TL Connect’s Platform, a corporate text program and a fully-integrated customer engagement platform. A franchise group consisting of 16 locations use the full program, while 222 locations are currently using the text program only. The 16 locations were the first to start using the program and much of the reason corporate decided to ultilize the text program was in due to our very high adoption rates. Most companies find it difficult to maintain a high sign-up rate due to when people come into the store, they sign-up, then eventually it levels out and start declining. The custom kiosk has the ability to keep new subscribers signing up as the years go by. This is part due to it’s fast, easy sign-up process along with it’s placement near the point of purchase. Chick-fil-A has steadily grown to become the largest quick-service chicken restaurant chain in the United States, based on domestic annual sales with over 1,850 locations in 41 states and Washington, D.C.
Chick-fil-A currently has two locations using the TL Connect’s Customer Engagement Platform. They have over 33,500 subscribers and a 586,295 all-time check-ins. Chick-fil-A uses every part of the platform, including digital loyalty, Auto-Responders & textALERTs to directly engage subscribers via mobile marketing. They have been customers since 2013 and have definitely ran some successful textALERT campaigns. They currently has over 41,000 subscribers and a 188,951 all-time check-ins. In dealing with gently used items, sometimes they get really hot, unique items to sell and customers wouldn’t even know they had these items in stock. So, they wanted an instant, effective method to communicate their products and specials with their customers. They turned to mobile marketing because of it’s uniquely high read rate and the short time span it takes for their subscribers to read the message as compared to other means of customer engagement. 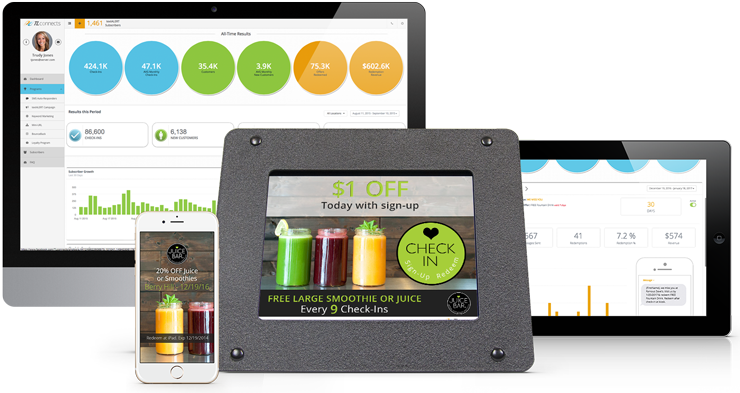 Read how Juice Bar uses the TL Connects Customer Engagement Platform in 28 locations. See actual results from their loyalty program, auto-responders & textALERTs sent to subscribers! Juice Bar’s retention program uses only one Auto-Responder. It is set to send a text message to a subscriber when they have not visited the store and checked in after 15 days. The text has an offer of 10% and expires within 7 days of getting the message. This has effectively drove loyal customers back to their stores, automatically. They currently have over 124,000 subscribers with over1.2 million check-ins since partner up with TL Connects in 2014. Read how Rafferty’s uses the TL Connects Customer Engagement Platform in 17 locations. See actual results from their loyalty program, auto-responders & textALERTs sent to subscribers! Rafferty’s retention program uses only one Auto-Responder. It is set to send a text message to a subscriber when they have not visited the store and checked in after 30 days. The text has an offer of $5 Off $25 and expires within 7 days of getting the message. This has effectively drove loyal customers back to their stores, automatically. They currently have over 73,000 subscribers with over565,000 check-ins since partnering up with TL Connects in April of 2014. Read how Red Bicycle Coffee and Crepes used the TL Connects Customer Engagement Platform in 3 locations. See actual results from their loyalty program, auto-responders & textALERTs sent to subscribers! Red Bicycle’s retention program uses only one Auto-Responder. It is set to send a text message to a subscriber when they have not visited the store and checked in after 15 days. The text has an offer of 10% and expires within 7 days of getting the message. This has effectively drove loyal customers back to their stores, automatically. They currently have over 4,800 subscribers with over52,800 check-ins since partnering up with TL Connects in 2014. Stakz’s “We Miss You” Auto-Responders. Read how Stakz uses the TL Connects Customer Engagement Platform in Bowling Green, KY frozen yogurt shop. See actual results from their loyalty program, auto-responders & textALERTs sent to subscribers! To bring customers back into their shop, Stakz uses auto-responders at three different tiers of lapsed customers. It is set to send a text message to a subscriber when they have not visited the store and checked in after 21 days, 45 days & again at 60 days. The text has an offer of 25% off and expires within 7 days of getting the message. This has effectively drove loyal customers back to their stores, automatically. They currently have over 15,400 subscribers with over106,000 check-ins since partner up with TL Connects in 2014. Twice Daily’s “We Miss You” Auto-Responders. Read how Twice Daily is the Mid-South’s premier convenience retailer. They have 48 locations located in Middle Tennessee. Their goal is to provide such a good food and fuel experience, their customers will visit twice a day. TL Connects’ Total Engagement Program features all the tools necessary to meet Twice Daily’s challenges. To get more people to visit twice a day, a custom feature was built in which after a check-in, a subscriber receives a BounceBack Offer, redeemable only on that same day, a minimum of one hour later. textALERTS were used to promote their deli products to all subscribers. Twice Daily’s retention program uses two Auto-Responders. They are set to send a text message to a subscriber when they have not visited the store and checked in after 15 days and again after 30 days. The texts has offers of a Free Medium Coffee and later, a free Sausage Biscuit. The offers expire within 7 days of getting the message. This has effectively drove loyal customers back to their stores, automatically. They currently have over 98,000 subscribers with over2.6 million check-ins since partner up with TL Connects in 2015. Wheatless “We Miss You” Auto-Responders Results. Read how Wheatless Restaurant is Bowling Green, Kentucky’s first gluten-free restaurant, serving quality food that anyone will enjoy. See actual results from their loyalty program, auto-responders & textALERTs sent to subscribers! Wheatless’s retention program uses only one Auto-Responder. It is set to send a text message to a subscriber when they have not visited the store and checked in after 15 days. The text has an offer of $5 off $10 and expires within 7 days of getting the message. This has effectively drove loyal customers back to their stores, automatically. They currently have over 4,400 subscribers with over23,000 check-ins since partner up with TL Connects in 2014.